The Pure House Music Festival Weekend makes its Las Vegas debut on Saturday, September 29th at the Clark County Government Center from 10am to 10pm. Sponsored by VegasLOL.com, Fusicology, Cherie Martin & Associates, and Electronic Music Cafe, it will showcase “house music” legends, pioneers, innovators and today’s headliners carrying on the tradition of this pure, uncut, deep, funky musical phenomenon. Performers for the Festival include CeCe Peniston, D-Train, Lisa Shaw, Jesse Saunders, Michelle Weeks, Groove Junkies’ Evan Landis featuring Solara, Michael Procter, Kevin Hedge (from Blaze), Lidell Townsell, and Chosen Few DJs... along with West Coast favorites David Harness (San Francisco), Scott K. (Los Angeles), and Rory McAlister... and international flavour from Sound Syndicate (Mallorca, Spain) and DJ Sam (Seoul, Korea). In addition, local favorites performing include: Keith Evan (House Society) and Jeremy Espinosa. The Festival will also feature percussionists and Chicago house music dancer icon, David Risque. This inaugural Las Vegas event will be produced in the style of The Chosen Few’s long-standing “House Music Picnic,” which has been held in Chicago, IL for the past 21 years and boasts over 30,000 attendees annually. Like the Chicago event, the Festival is scheduled to be held annually and is expected to garner national and international publicity and attract a diverse audience. 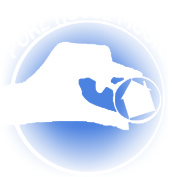 The first Pure House Music Award will be given out in a special ceremonial presentation during the event. For more information check: www.PureHouseMusicFestival.com.